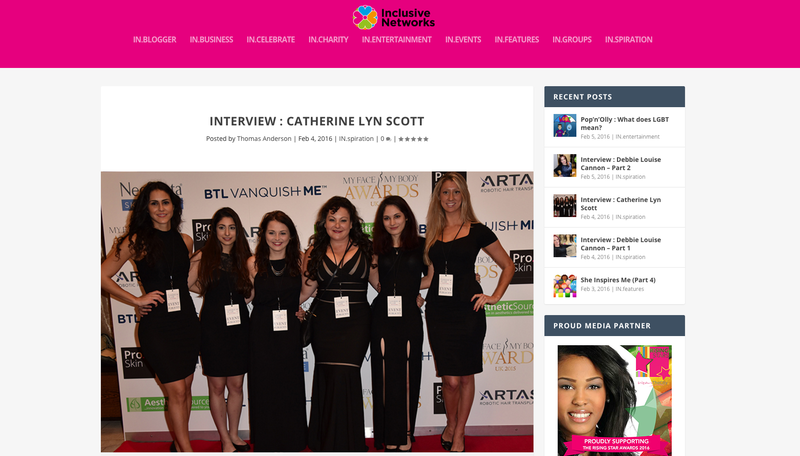 Now in its 6th year, the International Achievers Awards was created by Dr Chanise Thompson to recognise outstanding individuals in business and the entertainment industry. 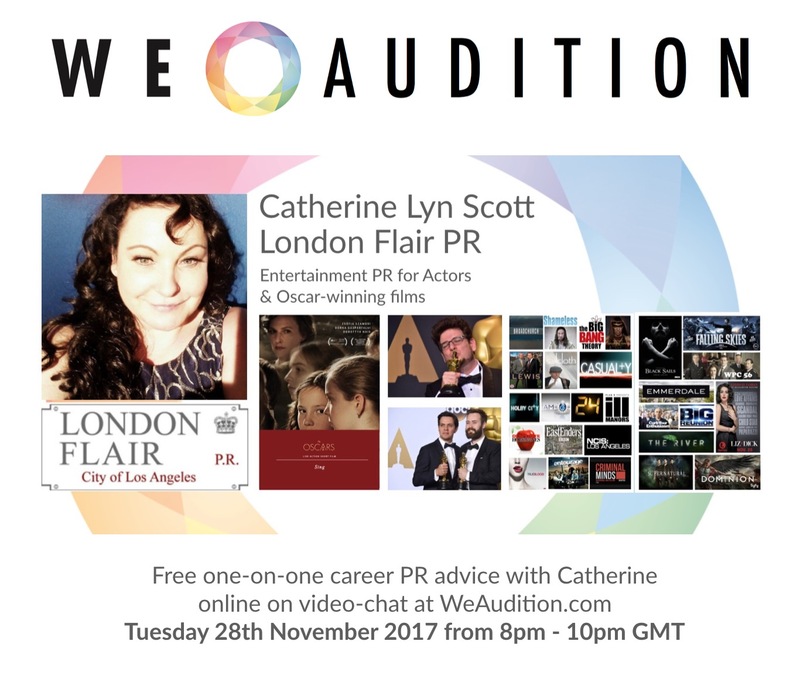 Catherine Lyn Scott is the founder of London Flair PR, an entertainment publicity firm with offices in Los Angeles and London. 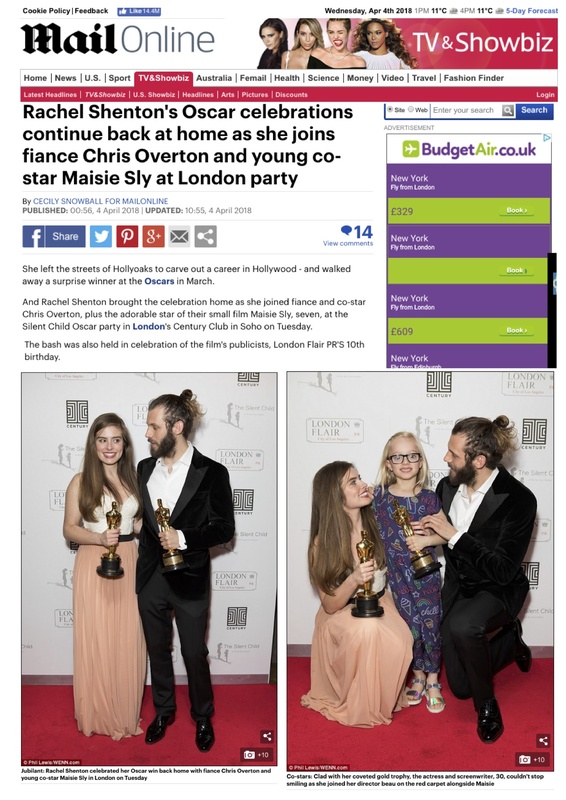 This year Scott helped Rachel Shenton and Chris Overton the creators of ‘The Silent Child’ a film featuring a profoundly deaf actress win an Academy Award. 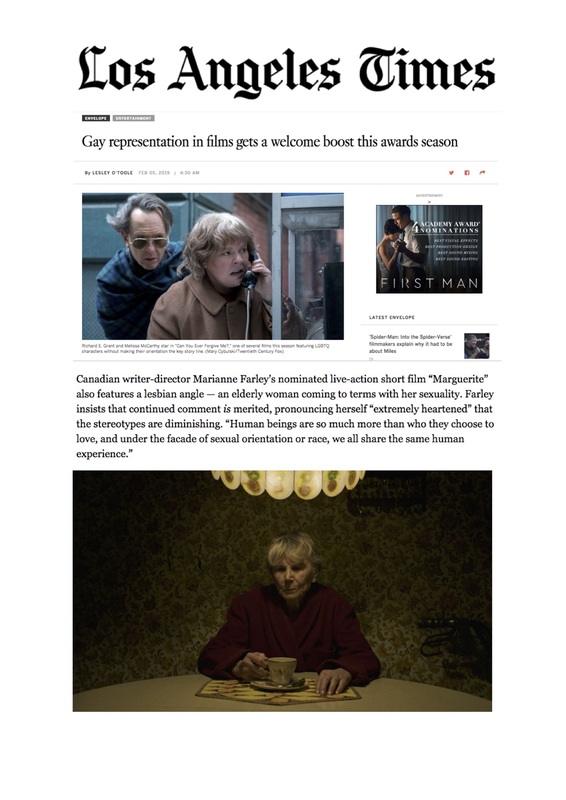 Over the past four years, publicity campaigns she has created have gone on to win three Academy Awards, achieve eight Oscar nominations and gain three BAFTA nominations. 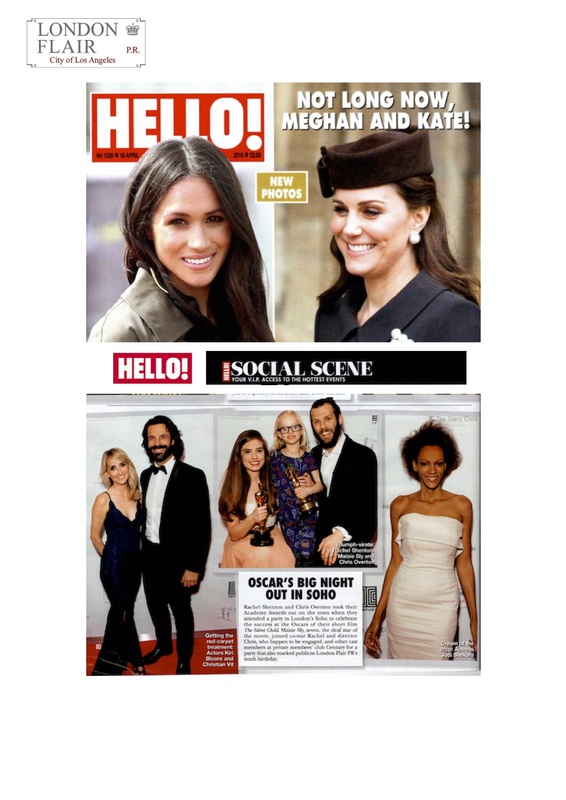 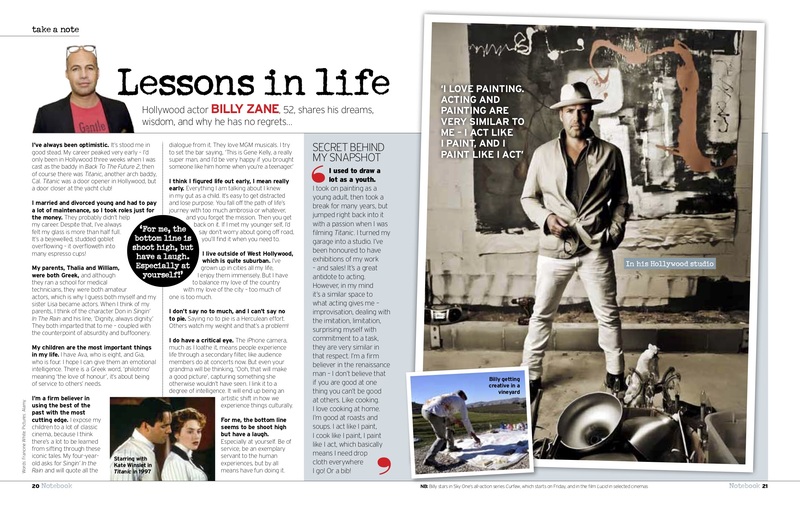 As well as film publicity Scott creates personal publicity for actors, events and works with fantastic film festivals like Raindance. 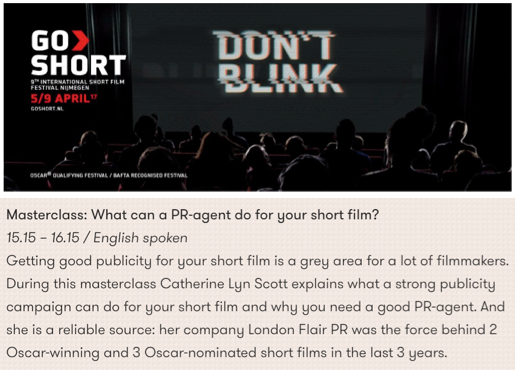 Catherine Lyn Scott will be speaking at the Dutch short film festival ‘Go Short’ on the industry day on April 7th.